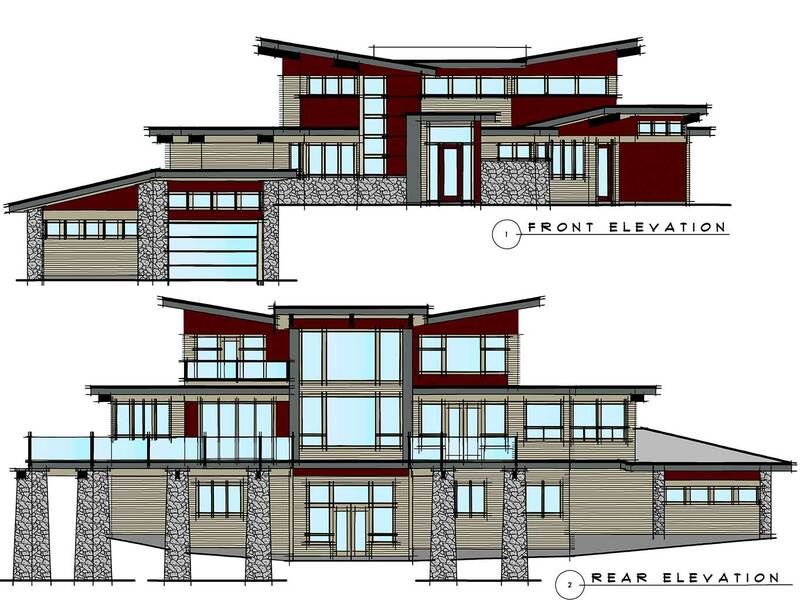 The Malahat Lair – a Custom Dream Home Design, and a silver finalist at the 2014 Vancouver Island Care Awards. Located in the high country at an elevation 1500 feet, with unparalleled views for Mount Baker and the San Juan Islands to the east for panoramic vistas. The home was designed in a ‘boomerang ‘ shape to hug the contours of the slim rock plateau of the building site. This maximized the internal spaces, and help to minimized the need for rock blasting, and over height lower floor walls. Every room has a view. 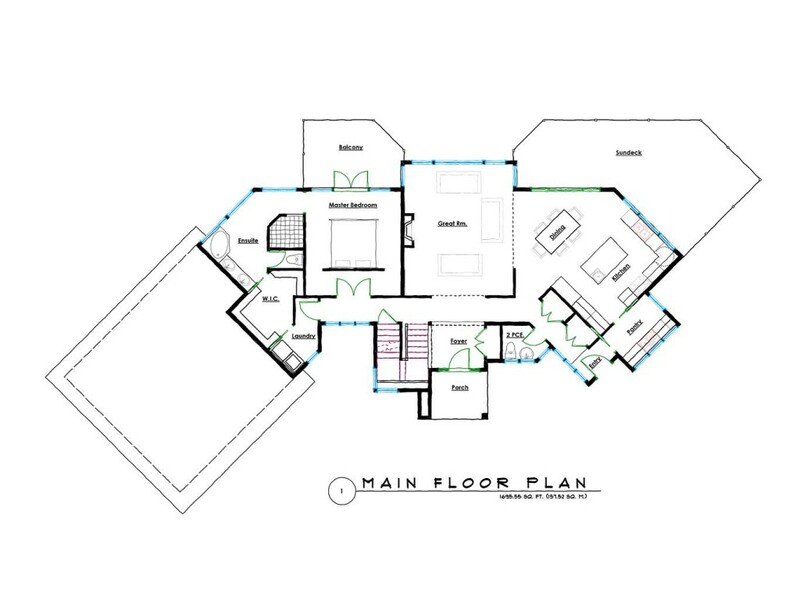 The floor plan is very fluid and impactful on all levels, with rational angles introduced into a thoughtful plan for a highly efficient layout. 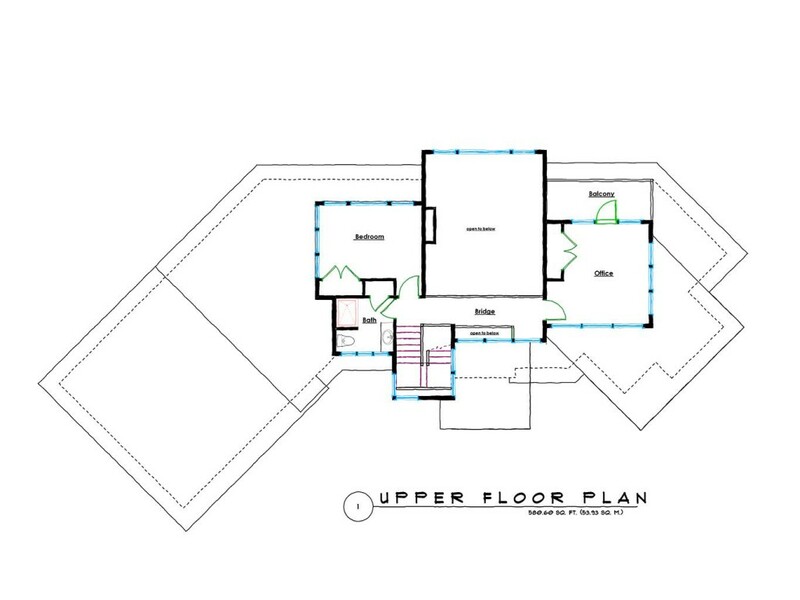 The great room has a towering ceiling with an upper floor bridge to connect the two bedrooms together above as you enter the home. The master suite is luxurious, an impressive place for tranquil rest, and rejuvenation. Great views to admire whether leisurely waking up in bed, or just relaxing in the tub on a lazy afternoon. 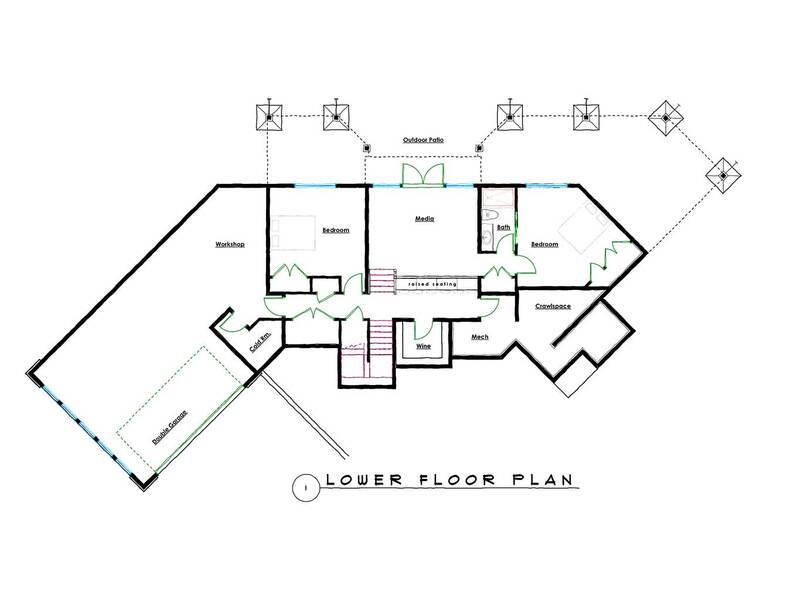 Down below on the lower floor is a sunken media room, large garage, and work shop, along with a wine room for that well appointed collection. The overall design has a west coast contemporary bend, utilizing a cohesive mixture of flat and sloping roofs. The strategic placement of the internal stair is accentuated on the front façade as an exterior focal point. With the use of tapered stone veneer columns, and sloped timber beams add the architectural accents, with window head, and sill trims aligned for continuity, and clean lines. The waterfall entry roof is placed is such a manner as to highlight the front entrance. 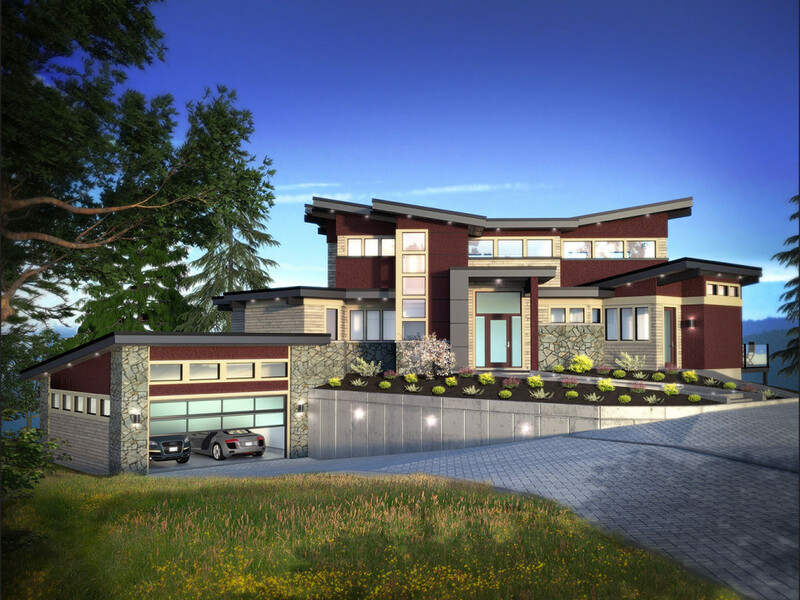 This home is masculine version of a spa like retreat, designed perfectly to suit the topography and views, standing proud on it’s perch like a fortress on the top of the Malahat.